Preparation: I prepare my hair by loosening out the style I had it in. 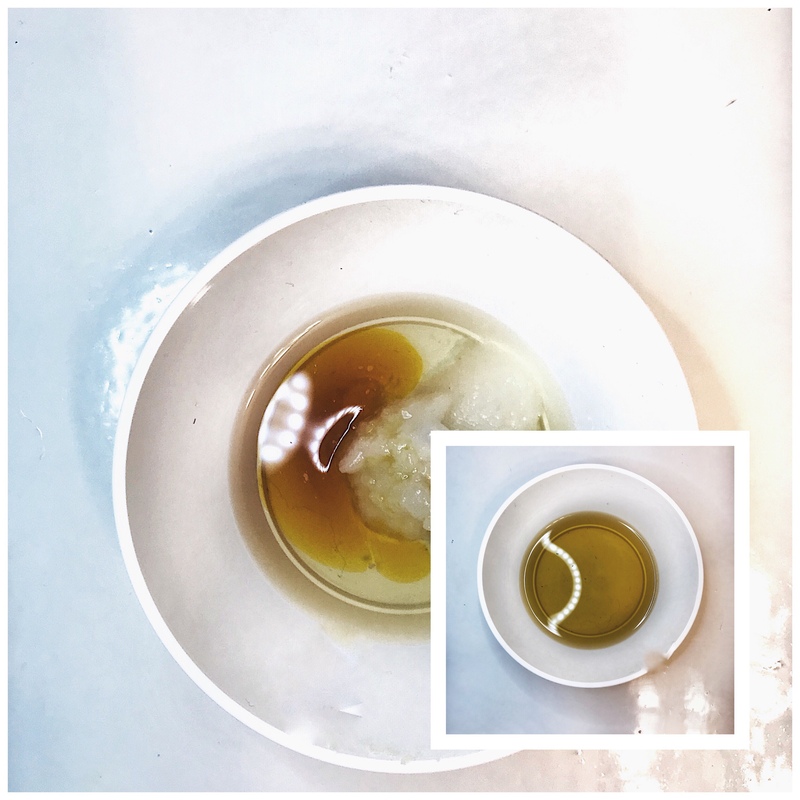 Prepoo / Hot oil treatment/ Detangle: I pre-poo/detangle my hair with essential oils, Coconut oil and Shea butter. 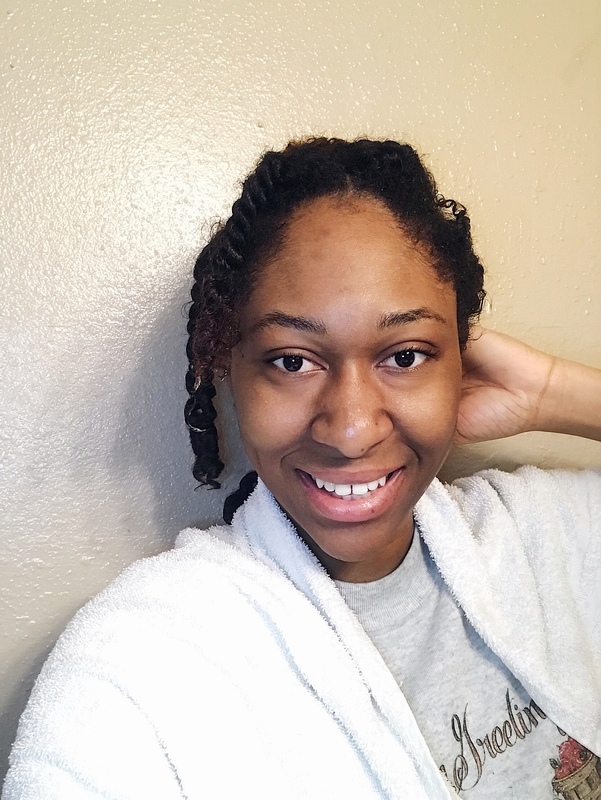 I first wet my hair with water, then apply hot essential oils on my hair/scalp and I use my hand to detangle my hair. 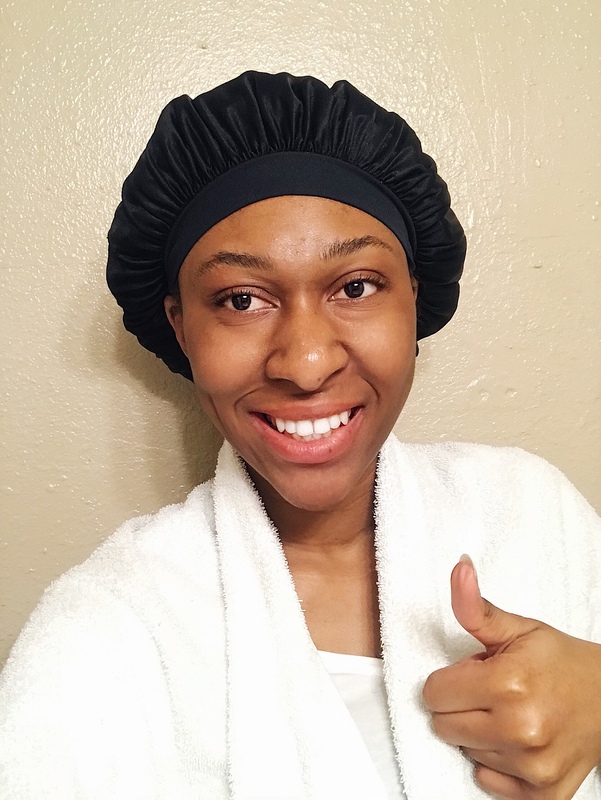 Then I cover my hair with a plastic bag for 30 minutes to make my scalp absorb the oil. Afterwards, I rinse out the oils. P.S: My scalp gets dry really fast that’s why I make sure I pre-poo before washing it. 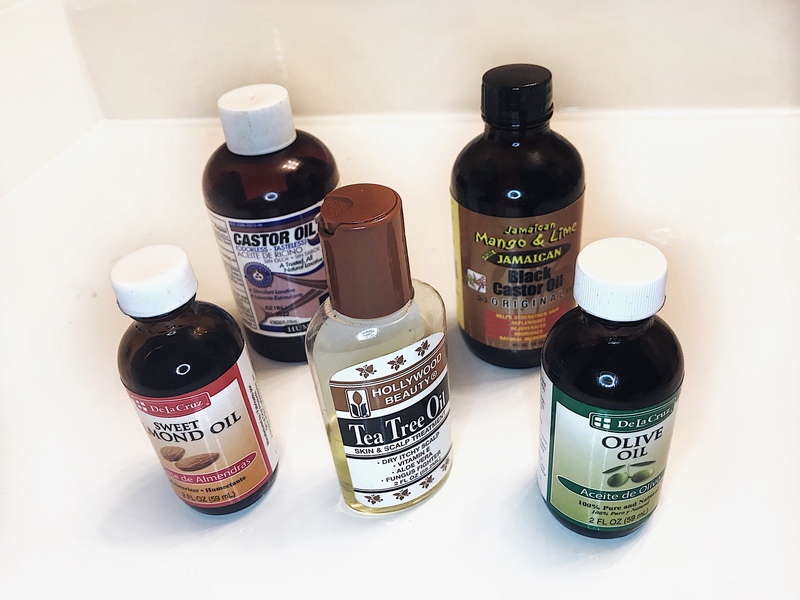 The essential oils I use are Tea tree oil, Olive oil, Coconut oil, Almond oil, Jamaican black castor oil. Before and after warming the oils. 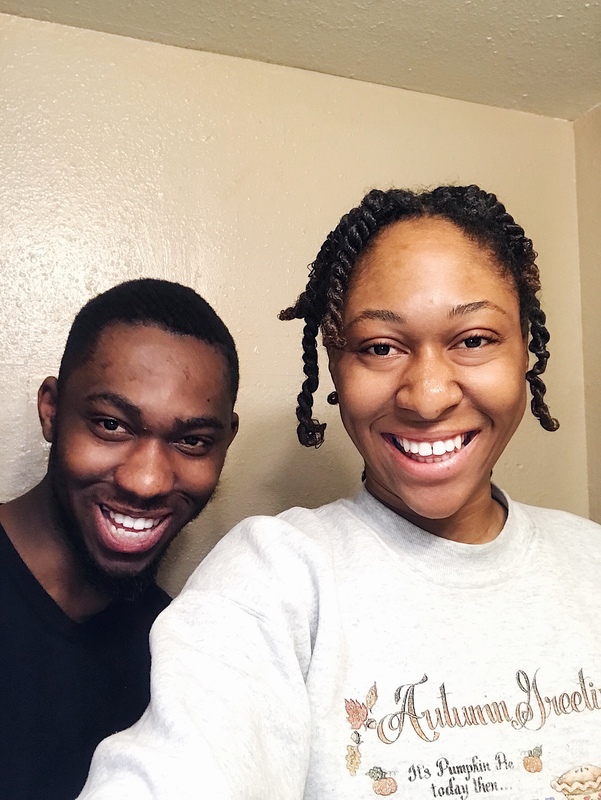 Shampoo: Ever since I started transitioning, Dudu Osun black soap has been my shampoo, the one time I tried using another shampoo my hair was breaking whilst using the shampoo so it was a NO NO for me. I apply the shampoo 2-3 times then rinse it out thoroughly. 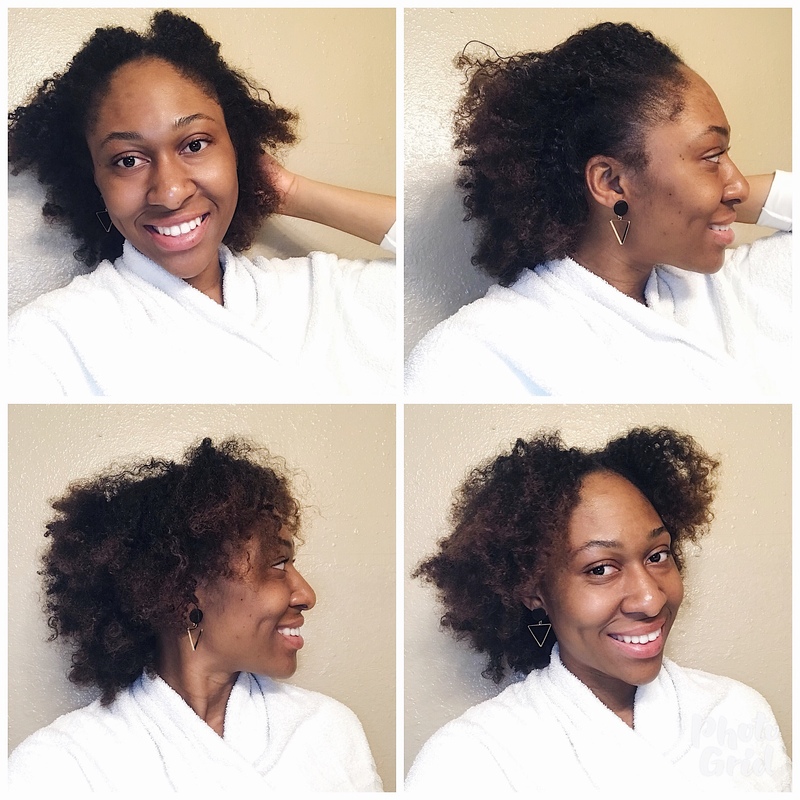 Deep condition: I condition and deep condition my hair together, why not? I mix the deep conditioner – Beautiful textures Rapid, conditioner – Olive oil ORS replenishing conditioner and hair mayonnaise – Originals by Africa’s best hair mayonnaise together. 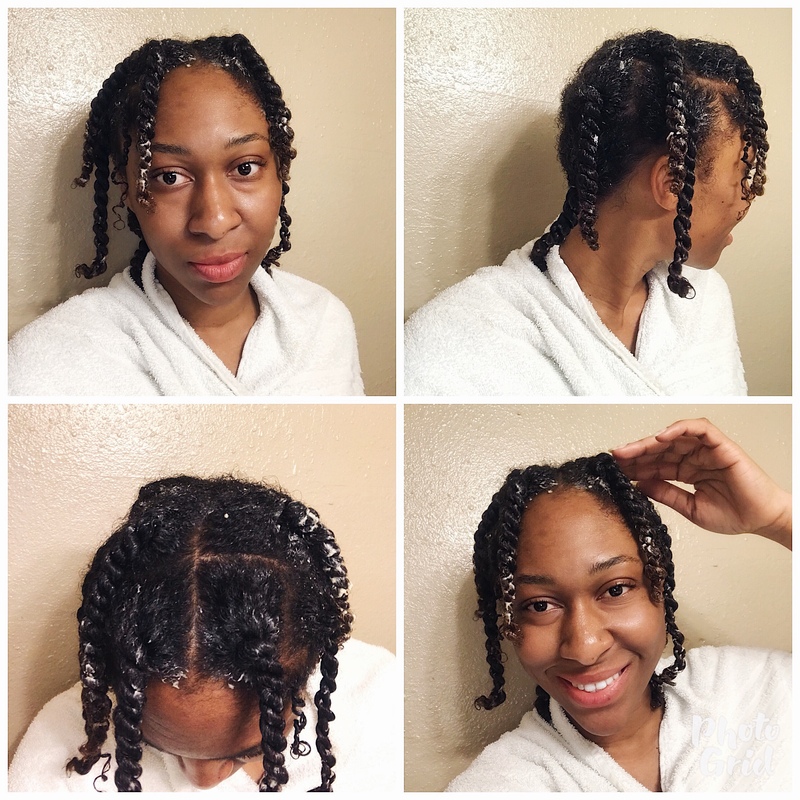 I section my hair, apply the mixture from the root to the tip of my hair and twist each section ( this takes a while for me). 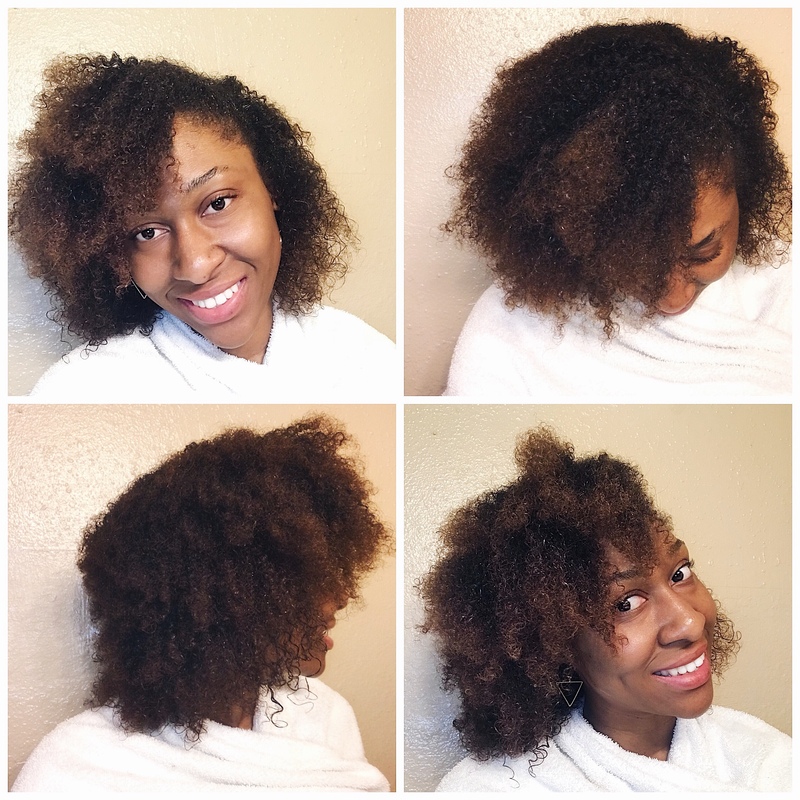 I deep condition my hair overnight because I most times wash my hair late at night. And I rinse it out the next morning without unravelling the twist. P.S: I read through each product and I can actually leave all on for my hair for styling except the conditioner. Style: The last step is to style my hair. 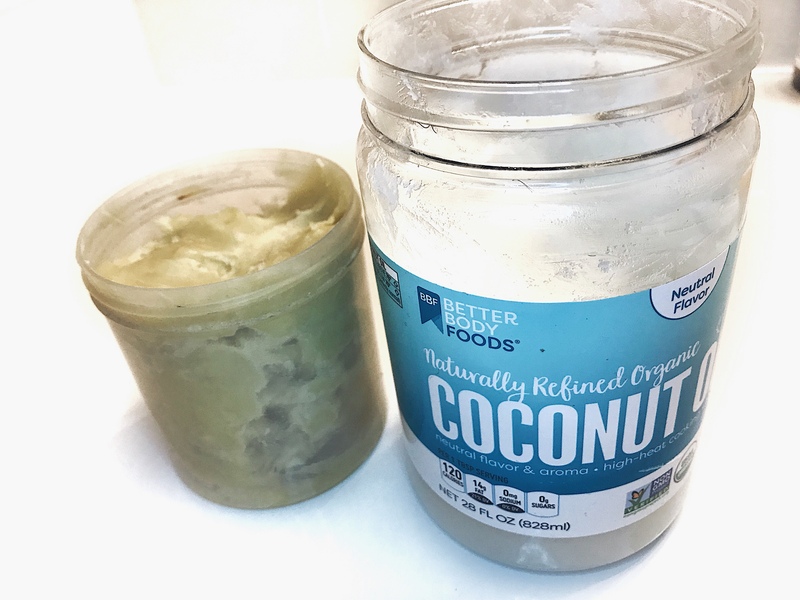 I only oil my scalp and use coconut oil to moisturise the coils. 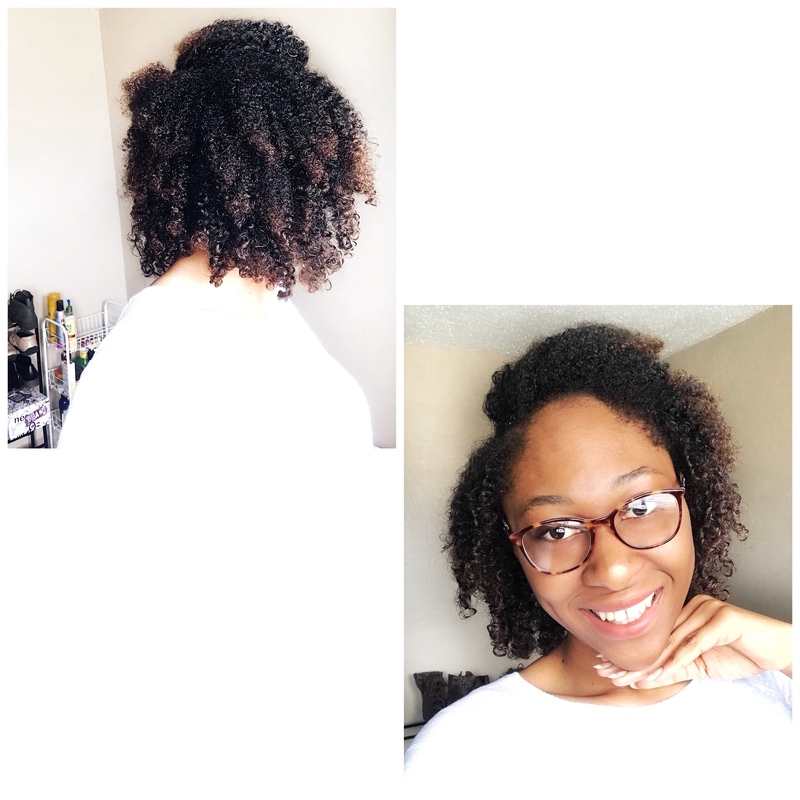 I try to use little to no products on my hair after this and opt for a style that won’t stretch out the coils. And that’s it! Back and front view of my fave style. 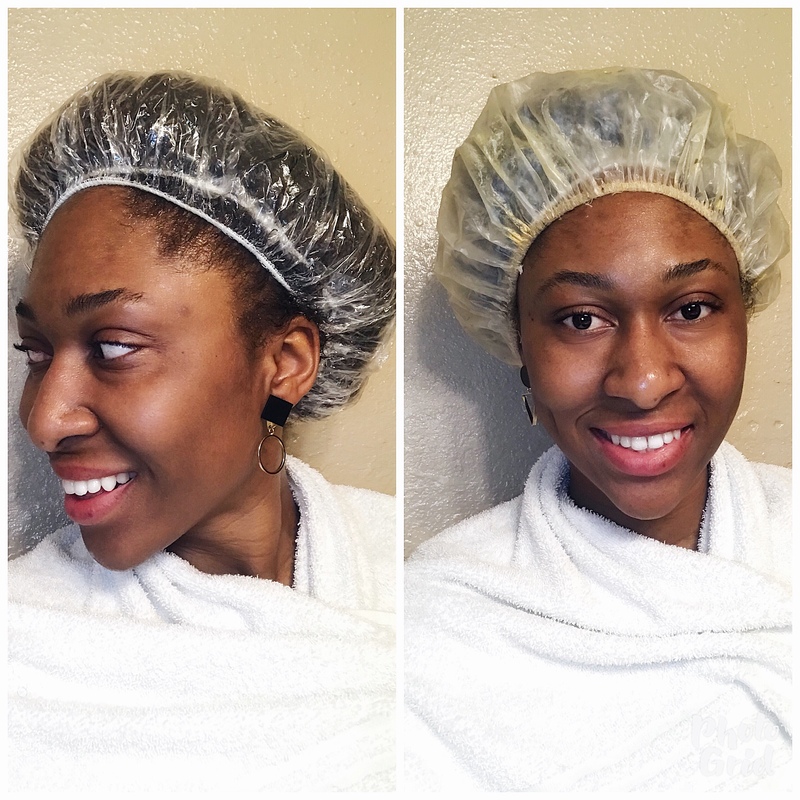 Double the plastic bags to trap in more heat when prepooing and deep conditioning. Twist the tiny weeny front hair by itself to make the front curls pop (this is a trick I just discovered). This ‘wash n go’ style can last a week if well maintained. Trim your ends if it is weak to keep your hair healthy. N.B: These products can be gotten in Nigeria also. Thanks for stopping by the blog. If you give this a trial please share a picture and feel free to tag me. What are your thoughts on this post? Would you give this routine a trial? 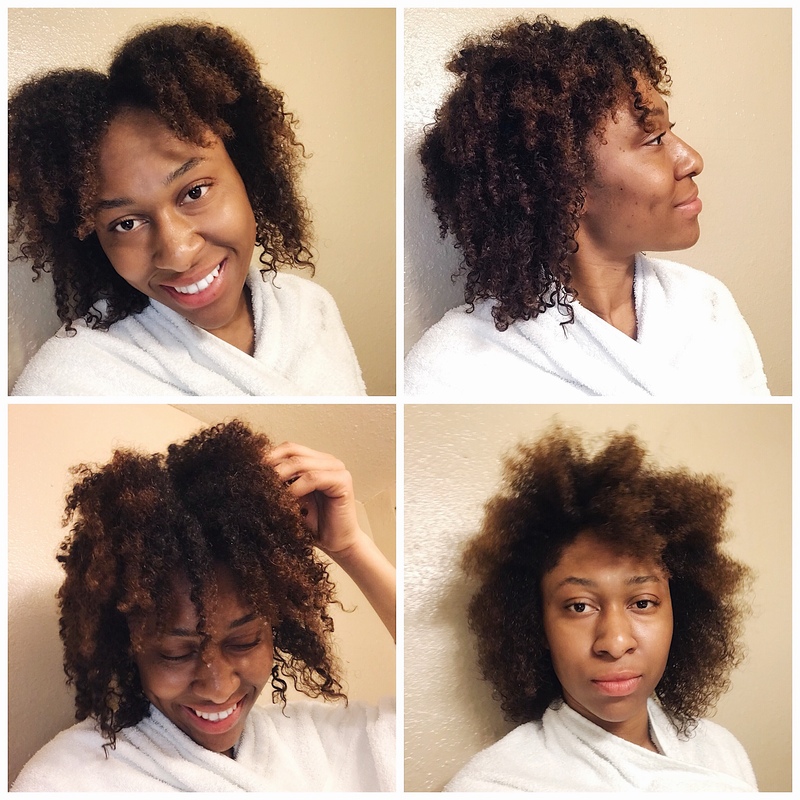 What do you do differently on your wash day? Let’s discuss in the comment section. Next PostNext OUTFIT | IN MY SUNDAY BEST | TEAL X FLORAL. 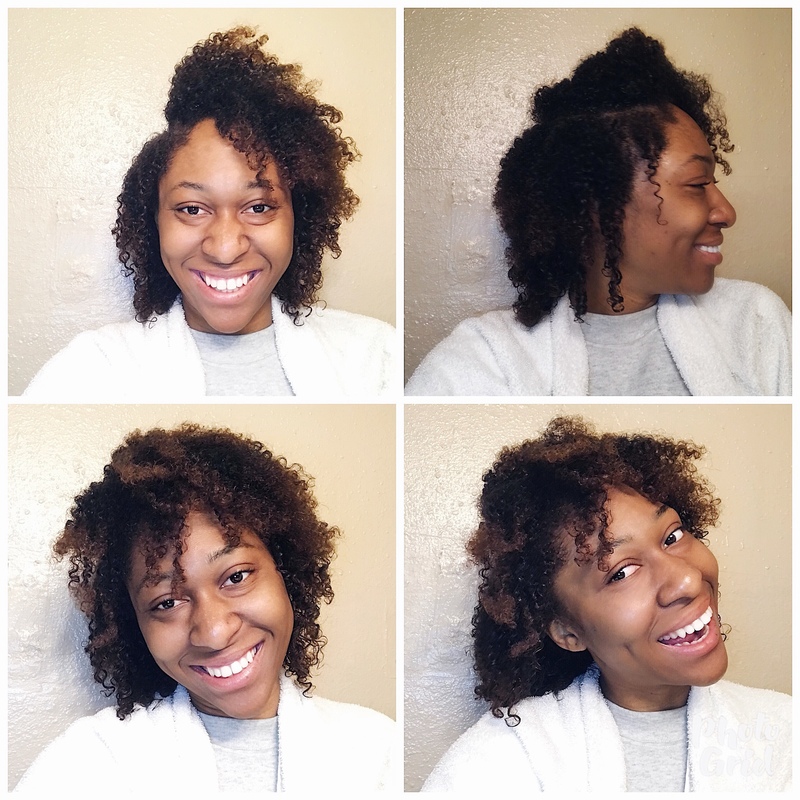 Hair journey 1…Products I use and tips to know. Me and DIY are not good friends, my last attempt, my whole room was messed up with egg and oil stain. I hope I’d try it again but I love how your hair looks so curly and lush after the rinse out. 😉. You should give it a trial! And even if it goes south, these products smell good so you should be fine. Thanks dear for the compliment. And thanks for stopping by the blog. I really appreciate it ❤️. Thanks dear Tinu; I sure will. I already have and it’s a great post. Thanks for stopping by the blog and also dropping your thoughts on the post. I really appreciate it.